As the principle dentist, Dr Natasha Teoh is very drive to provide the best outcome for each patient. With exposure to working in metro and rural areas, treating various patients of all ages. Dr Teoh has a wide range of experience and knowledge. Her soft nature and easy-going character brings forward a friendly atmosphere towards her patients. After graduating with a Bachelor of Dentistry in 2011 at the University of Adelaide, Dr Teoh has pursued further studies in the orthodontic field. Dr Rhea Allsopp grew up in Sydney, and after graduating from the University of Sydney for completing a Bachelor of Medical Science with Honours she moved to the Gold Coast to study Dentistry at Griffith University. As a clinician, Rhea is meticulous with a perfectionist’s attention to detail. Not only does she strive to deliver the highest quality in patient care, but she also treats her patients with genuine care and empathy. Whether it’s a simple checkup for you and the family, or an aesthetic plan requiring multiple visits, she will provide a genuine and considered approach. Committed to a pursuit of excellence in patient care, she is dedicated to maintaining and developing her skills in every aspect of dentistry. 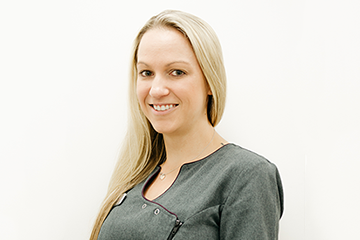 Rhea is passionate about dentistry and will ensure you feel relaxed and comfortable during your visit to Gold Coast Dental Studio. 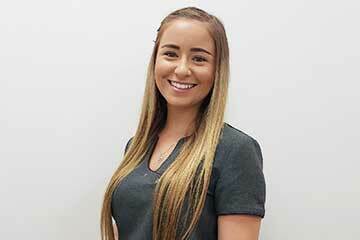 Jamie Fanning, our bubbly Practice Manager is here to ensure the smooth, efficient running of our dental practice. 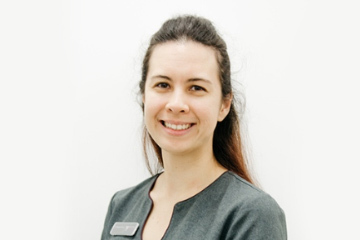 Jamie’s role is to ensure our patients have a consistent point of contact in the practice and along with the rest of our amazing team, she is always happy to answer any questions, explain your treatment plan in depth or discuss any concerns that you may have. With over 14 years’ experience in the dental industry working initially as a dental assistant, Jamie has gained valuable experience in all aspects of dentistry including, general, cosmetic, even full mouth rehabilitation and smile make-overs! What do you love about dentistry? What do you love about the team at GC Dental Studio? What do you love about your patients? I love the variety of patients coming through Gold Coast Dental Studio, and I love being given the challenge of being able to make them feel comfortable and walking out of the studio with a bright new smile!